UFW Stories: "Lifelong food justice advocate"
I got involved with the grape boycott shortly after it began in the late 60s. That was one of my earliest experiences of this type of justice work….though I was raised to believe in unions and to know the importance of them to workers. I had not really thought about it, but I bet this early experience led me to a lifelong pursuit of food justice and workers’ rights. I became a vegetarian, actually pescatarian) in the 70s and though I first thought of it for animal rights issues, and then made the choice to go for it for health reason, I stuck to it all these years because of food justice issues…..you can raise more non-animal food on the same land providing more food for people. For instance, it influence me when I don’t choose to buy Chiquita bananas because of the poisoning of the farm workers and my generally feelings about agribusiness. 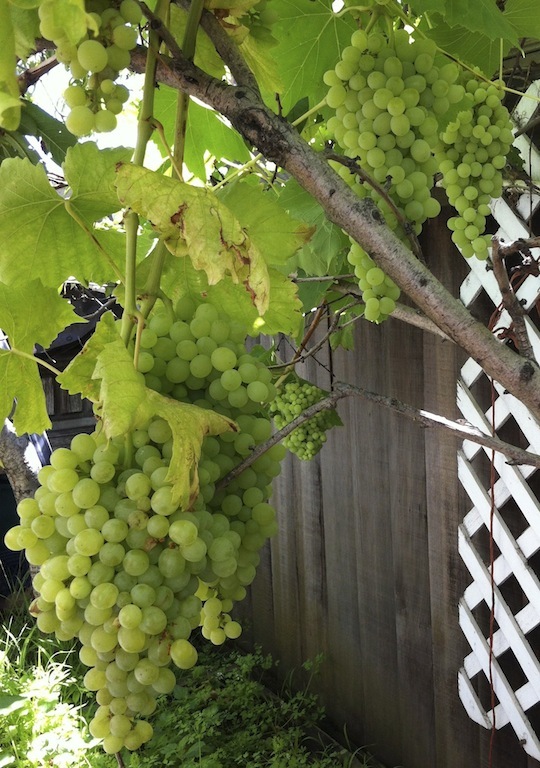 It may even have contributed to my commitment to organic gardening…..I love growing grapes. Food and related social justice led me to a long time involvement in the Green Party, and frankly, I don’t understand why unions keep supporting Democrats who have done nothing for them for decades.